The battle between Israel and Iran is increasing. The prophet Daniel spoke about this war that would occur in the future. (Daniel 10:14) Iran is not only fighting Israel but also fighting the Messiah and Michael the Archangel (Daniel 10:20-21) Once the battle against the Prince (Principality) of Persia (Iran) has been confronted the Prince (Principality) of Greece will attack Israel. The Hebrew word uses for Greece or ‘Grecia’ (KJV) can be translated as ‘Ionia.’ Ionia today is Turkey and this was part of the eastern leg of the empire of Alexander the Great. It seems Israel, the Messiah our Lord Jesus and Michael are already engaged in this war with Iran that more than likely will escalate. They won’t get a pass! Will it be in this generation? Once the fight with Iran has really kicked in the Messiah and Michael will take the fight to Turkey to defend Israel. (Daniel 10:20-21) Turkey and Iran will be two of the major players in the armed forces that invade Israel as we see in Ezekiel Chapter 38. Michael the great principality (greater than the others) is the one who protects Israel. (Daniel 12:1) Even though Israel has a very hard time ahead that will even see Jerusalem itself invaded and half of the city exiled, the nation will be rescued out of this Time of Jacob’s Trouble by the Messiah Himself at His Second Coming. (Jeremiah 30:1-10) (Zechariah 14:3-5) Possibly we are the generation that will see all of these things prophesied fulfilled and the return of our Lord Jesus the Messiah in great power and glory? This war, in effect that has already started between Israel and Iran, is a reflection of the war going on in the unseen spiritual realm between God and Satan. It is a war that Satan is waging not only against Israel but against all the saints of God, namely all who believe in the Lord Jesus as saviour Lord and Messiah. Of course it is a war that Satan and his minions from hell will ultimately lose, make no mistake about that! When you look at a map of the Middle East you will see that Israel is a small bit of real estate surrounded on all sides by implacable enemies’ hell bent on Israel’s total destruction. This war we see being waged in the natural realm is indicative of the conflict faithful believers are facing with Satan and his minions from hell every day in the unseen spiritual realm. It is a spiritual war! While for the most part secular Israelis only see their natural enemies, there are those in Israel who see that this is no ordinary war going on but one that has been going on down through the ages since the rebellion of the angels in heaven and the fall of man in the Garden. Those believers in the Lord Jesus, who know by experience what it is like to battles these dark and sinister spiritual forces in the unseen spiritual realm on a daily basis, know that it is directly linked to Israel. 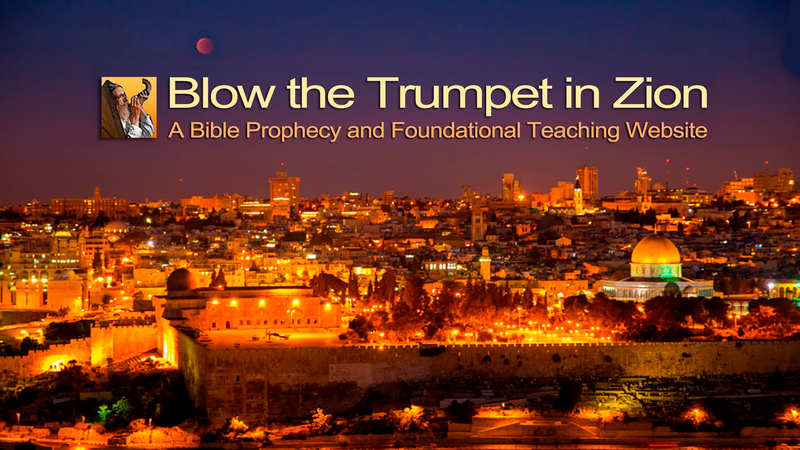 Satan knows that God’s end-time prophetic purposes for the Second coming of the Lord Jesus, depends on His covenant promises made to Israel and this is why Satan is seeking to annihilate Israel. Satan does not want the Lord Jesus to come back. Remember Israel and the Church are like two sides of the same coin; separate yet one, having a difference ethnically but spiritually linked together with a common destiny to co-reign with their Messiah our Lord Jesus. Gentiles who believe in the Lord Jesus for salvation are grafted back into the Olive tree, being the Commonwealth of Israel, and the root that spiritually sustains the natural and the engrafted believing branches is the Messiah Himself, “the root of Jesse.” (Romans 11:17-29) (Ephesians 2:11-22) (Isaiah 11:10) This is why we must pray for the peace of Jerusalem. To pray for the peace of Jerusalem will not annul what God has said in His Word what will happen to Jerusalem and Israel in the last days. However, the prayers of the saints for Israel and Jerusalem will be centred on seeing many more Jews come to saving faith in their Messiah our Lord Jesus and also praying for His Kingdom to be established sooner. (Matthew 6:10) To this end, we who know the salvation found only in The Messiah our Lord Jesus, should pray for the peace of Jerusalem in that many more Israelis would be reconciled to Him before the Time of Jacob’s Trouble hits Israel full on. God still has everything under control! If we understand what is going on behind the scenes and have insight to the war being waged between God’s kingdom and Satan’s kingdom in the unseen spiritual realm we will know the best way to pray for Israel and for all the saints. The most important thing we must do as believers in the Lord Jesus is to put on the whole armour of God every day, pray continuously in the Holy Spirit and keep on praying for all the saints everywhere. Why? Because Satan is attacking us spiritually, emotionally, mentally and physically and attacking those closest to us, our loved ones, our homes our families, our businesses, our churches, our brothers and sisters around the globe as he seeks to undermine our confidence in God’s in that He still has everything under control. The fiery darts of the evil one are always aimed at the shield of faith seeking to penetrate that spiritual defence.